In 2360, while working at Starfleet Medical, Selar investigated reports of an outbreak of the Romulan disease known as the Gnawing. At the behest of Admiral Uhura, Selar went on an undercover fact-finding mission behind the borders of the Romulan Star Empire with Benjamin Sisko and Tuvok in order to gain more information about the illness. 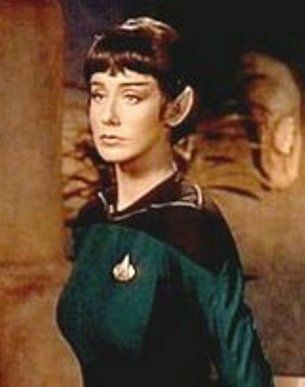 In 2364 Selar was assigned to the USS Enterprise-D to be the Assistant Chief Medical Officer under Doctor Crusher. Later that year Selar along with everyone else on the Enterprise-D was transported to a different quantum reality and the year 2379. Once there she found out her duplicate had a son named Xyon who not only aged rapidly but was dying.